Last week we encountered the parable of the wicked tenants. Having survived that, you’d think this week things would get easier. Not so. Today’s Parable of the Wedding Banquet is confirmation that Rome didn’t execute Jesus for telling innocuous feel good stories. This parable…its a mess. A king decides to hold a celebration for his son who is getting married. So he invites everyone—everyone, that is, on the A-list. This promises to be the big event of the year. So imagine the King’s shock, dismay, and utter disappointment, when not only does his guest list refuse to come, but they proceed to beat up and murder his messengers. The King is furious and lays siege to the land. Following the carnage, a somewhat more genteel King emerges and invites “everyone” to come, “both good and bad” and fills the hall at last. But when this King happens to notice that one of these guests has failed to don proper attire for the celebration he is thrown out into the darkness where there is weeping and wailing and gnashing of teeth.” This, we are told, is the Good News of the Lord? As this parable unfolds we understand that the people who were first invited snub the invitation. Despite the effrontery, and kingly retribution that follows, the King still has a son who is about to get married, and no guests to ensure a festive reception and so he responds by inviting everyone—from the butcher at the local market to the homeless person standing on the corner, the schoolboy with the bad haircut and the barber down the street. In a Democratic society, this is a message to which we resonate. This is the kind of message we want to hear, isn’t it. The kingdom of heaven is inclusive. Everybody’s welcome. We can’t help but smile and enjoy the feeling of the warm fuzzies. At which point we are struck dumb by what appears to be the senseless ejection of the poor guy who shows up in cut offs with flip flops and we wonder why, at this point in the festivities, if the King has such openness of mind to invite absolutely everyone why he should suddenly turn into Miss Manners and cast out a poor unfortunate with bad taste in fashion? It makes no sense! No sense, that is, until we understand the culture of the day. In the time of Jesus, as well as in our own day, weddings were important events—and they came with their own set of rules and expectations. Just as in our culture we wouldn’t think to wear white to a wedding (unless we were the bride), in the time of Jesus, a person would automatically know that if they were to attend such a celebration, they should don a wedding garment. But…what if you don’t have the money to purchase the correct outfit? Not to worry, the host would have provided them for the guests—free of charge. All you had to do is put it on. This puts a rather different spin on the parable, doesn’t it. 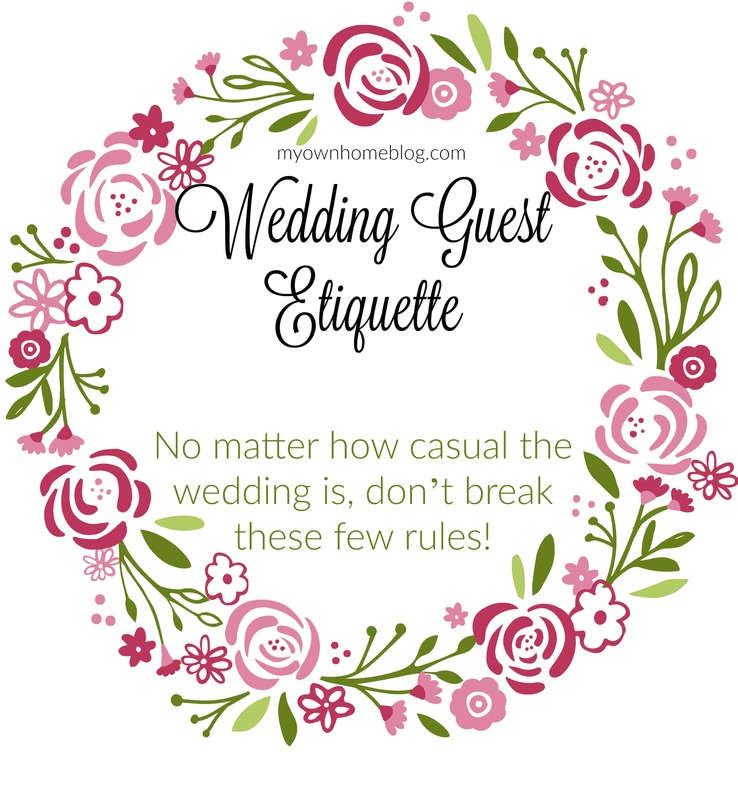 What it means is that this guest isn’t simply poorly dressed as a result of lack of funds or lack of sense—he’s poorly dressed because when he was handed the wedding garment to put on—he flat-out refused. He is not willing to comply and therefore he is shown the door. So think of it this way….everyone---all of us are invited to the Banquet Feast of the Lord, no exceptions, but there is an expectation when we don the white robes of the baptized, when we join the family of Christ. The expectation is not that we shall be perfect; but that we shall be changed. You cannot be a part of the fellowship of Christ and anticipate that your life will continue as it has always been. Accepting an invitation to the Marriage Feast of the Lamb is not akin to swinging into Burger King for a meal. You cannot have it your way in the kingdom of the Lord—it is God’s way, or no way at all. This is important news on a day in which we welcome a new Christian into our midst: Charlotte “Charlie” Maloney. As Charlotte grows in age and wisdom, my hope for her is that she will also grow in knowledge and understanding of a God who loves her with outstretched arms—but also a God who will challenge her to become more of who she can be. You see, we are not intended to stay the same. The parable for today phrases this reality in stark terms. You cannot enter the kingdom of God on your own terms and conditions. We cannot write our own rule book. Life doesn’t work this way either in our world or in the kingdom of God. God’s generosity might be free—but it doesn’t come cheap. In the end, it asks us for everything. Is this Good News? I believe it truly is. Because, when the day is done. When my last day is done, I hope to be grateful. Grateful not only that God has invited me to come into His kingdom; but also grateful that that white robe of baptism that was gifted to me over a half century ago—it’s mine to put on, it has the capacity to change me not only on the day of my baptism, but every day of my life. That robe, it has made me worthy to be part of the family of God, and continues to do so, and in the end, I realize that the garment that was offered to me—to you, and to Charlotte…it’s not woven from cloth. It’s not embroidered with silver or gold. It’s made of love. Now, think of what it would it mean for me—and perhaps for you and Charlotte as well—to remember to put it on every day. In Jesus’ name. Amen.